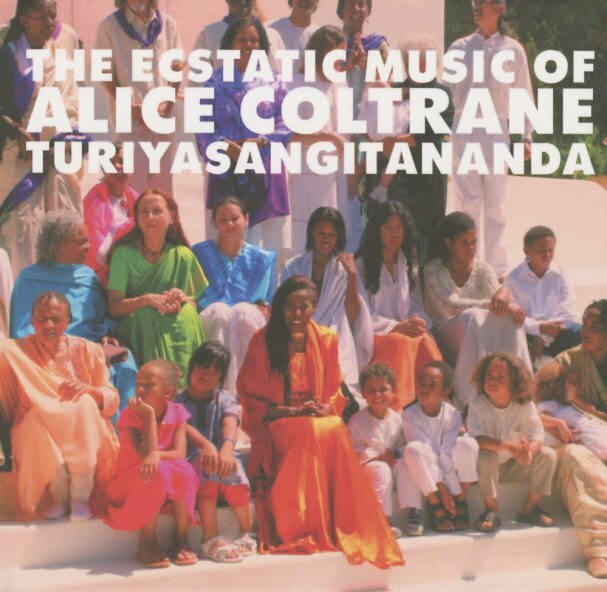 An incredible side of the talents of the legendary Alice Coltrane – obscure 80s material that was recorded in the years after her famous records on Impulse and Warner Brothers – only ever issued on cassette at the time! The tracks have Alice still very much in the same spiritual territory as before – but also mixing in some elements from American gospel music – not in any sort of Christian way, but just in terms of the use of a larger choir on some of the tracks, whose stompingly rhythmic presence can really drive a few of the tunes! Other tracks are more spare, and really focus on Coltrane's vocals and work on organ – as well as a bit of harp and string backings too – all at a level that really pushes the transcendental modes she first brought to light in the 70s. Given that most of us never got our hands on the original tapes, the whole thing is a real treasure trove – and presented with nicely detailed notes, too. Titles include "Er Ra", "Om Shanti", "Om Rama", "Rama Guru", "Haria Naryan", "Krishna Japaye", "Rama Katha", "Keshava Murahara", and "Journey To Satchindananda". © 1996-2019, Dusty Groove, Inc.